I have had an enduring love affair with French beauty products. Having lived in Paris when I was growing up, I was introduced to the French approach to beauty at an early age. Even when I returned to live in Montreal, I would always make sure to peruse the aisles of a pharmacie whenever I would travel to France to visit my friends and family. At first, it can be quite impressive to enter one of these beauty meccas and to discover the range of products available. But it can also appear a bit overwhelming and clinical. My advice: don't be afraid to talk to the pharmacist about your specific needs. These professionals have extensive skincare knowledge and will be able to introduce you to the best performing products for your face, your body, and your hair. No wonder French women take their skincare routine seriously considering the countless cosmetic lines offered in their pharmacie! Lucky for us, many French brands can now be purchased across the pond. It's not the first time that I claim my love for this iconic oil, and it's definitely not the last time either. What I like most about this versatile skin treatment is its luxurious feel on the skin and its enthralling essential oil fragrance. You can use a few drops on your face, your body after a shower to keep your skin nourished and glowing, and even on your cuticles and the tip of your hair. This dry oil just sinks right into the skin without leaving any greasy residue. It's a great multitasking product to have on hand. Probably the most famous skincare must-have within my list, this micellar water cleanses and removes makeup residue like no other product in its category. Simple, yet so effective, this fuss-free solution can be used as a cleansing water or as a toner depending on daily needs. This formula is remarkably gentle on the face and especially on the eyes. If you wear waterproof mascara, you might need to use a dedicated formula to remove it, but aside from that, it's an impressive product to add to your cleansing routine. I was introduced to this winter skin saviour by my mother who often suffers from dry skin. In the dead of winter, there's nothing like this rich cream to soothe extremely dry, cracked and itchy skin. Although it is rather thick and creamy, this balm is absorbed quickly without leaving any greasy film. It is also effective to relieve rashes from harsh water or very dry climate. This is my secret weapon to repair my skin's protective barrier even in the most extreme temperatures. I initially bought this product to see if it was worth the hype. The answer: Oh yes! Since this cream is quite rich, I prefer to use it as a moisturizer after I swim or when my face needs some soothing care in the winter. While the texture may appear greasy at first, it is surprisingly lightweight and is absorbed without leaving any residue. When I wish to pamper my face during the colder months, I use this as an intense nighttime moisturizer and I wake up to a silky soft skin. With the extreme hot and cold temperatures we have throughout the year, my lips get easily dry, flaky and chapped. Although I sometimes carry fancier lip care products in my handbag, I always rely on this one when I need to smooth and repair my damaged lips. The fragrance-free formula provides instant relief, feels extremely nourishing and last forever. Plus, the stick will not bend or melt like other lip balms I have tried in the past. All of the products listed above can be purchased at pharmacies throughout Quebec, but you'll find the Embryolisse at Urban Outfitters. If you are wondering, the picture above is from the lovely Etsy store named Georgianna Lane. 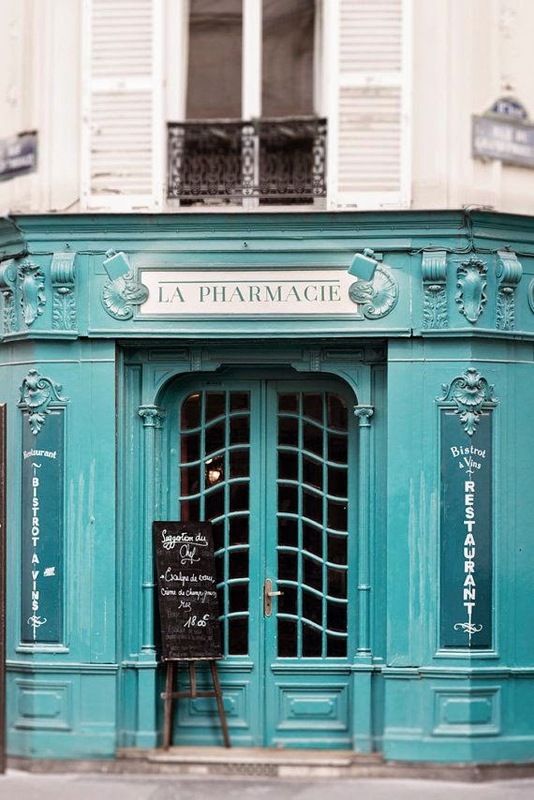 2 comments on "5 French Pharmacie Skincare Gems "
Hi Eugenia, Glad you enjoyed reading about my French pharmacy picks. Embryollise was rather difficult to find in Canada for a while, but not anymore thanks to Urban Outfiters. They even carry other products from the brand. The lait-crème is one of the best kept secrets from French makeup artists. You only need a tiny bit since the formula is quite rich. And the scent, the scent is addictive!